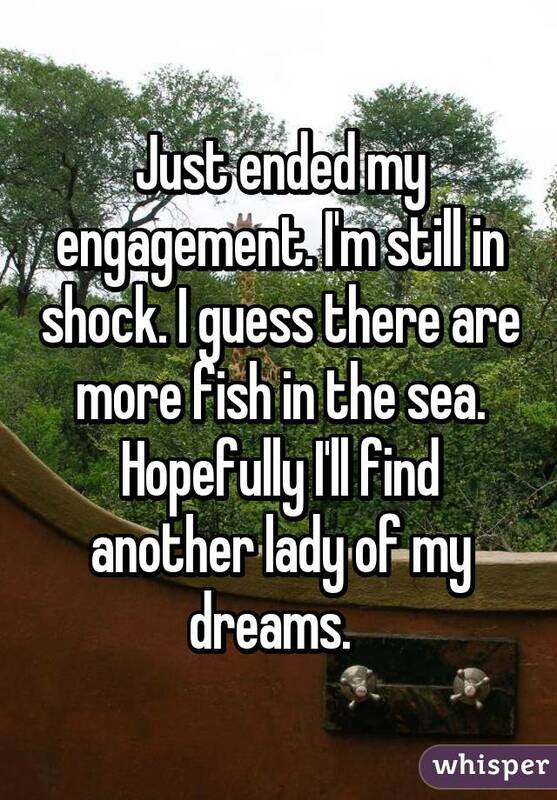 If you're like most 20-somethings, you know it's almost impossible to log onto Facebook without seeing yet another one of your friends announce his or her engagement. 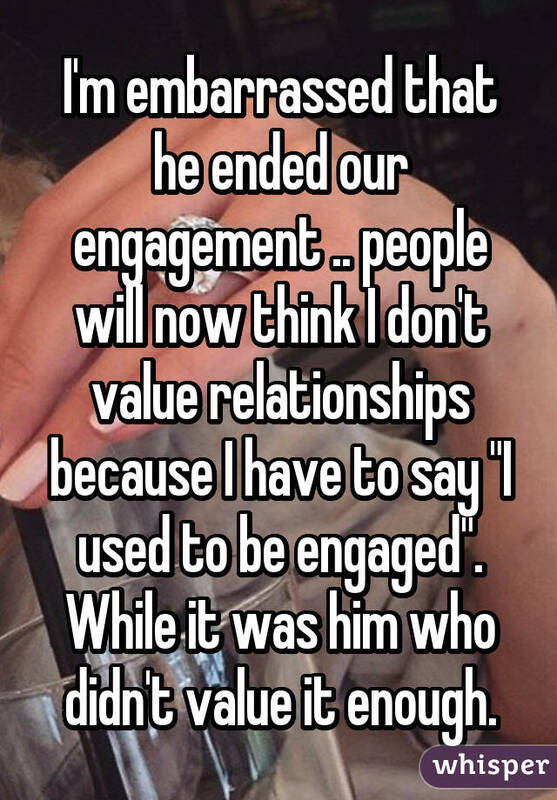 Getting engaged is a pretty big step in your relationship, and once you say, "I do," you have to spend the rest of your ENTIRE life with that person. 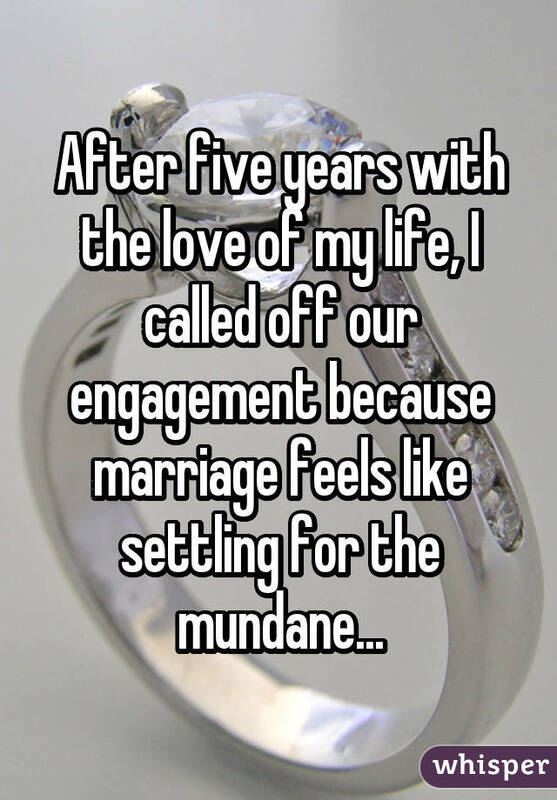 Therefore, it should come as no surprise a lot of people don't go through with their engagement plans. 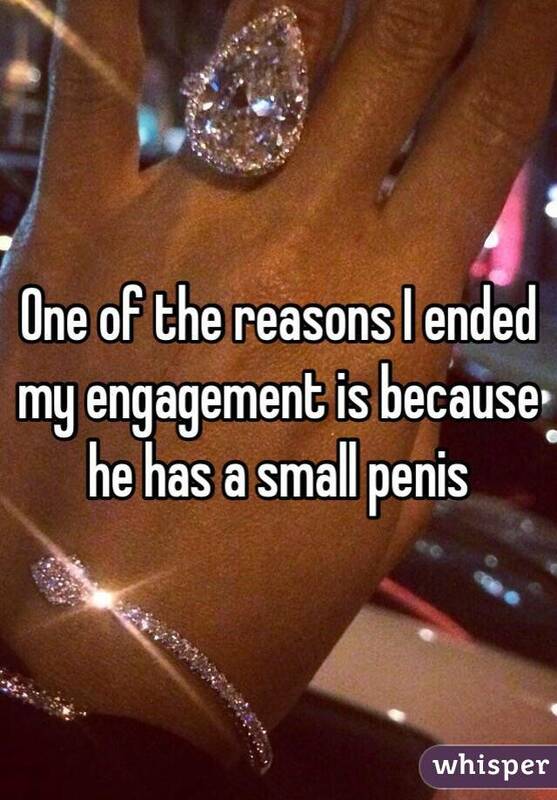 Sometimes, a romantic proposal, a dazzling diamond and the fact that you're the only one in your friend group without a ring on it can make you jump the gun and agree to take your relationship to a level you're not quite ready for. Other times, you think you've found "the one," but he or she turns out to be someone complete different down the road. 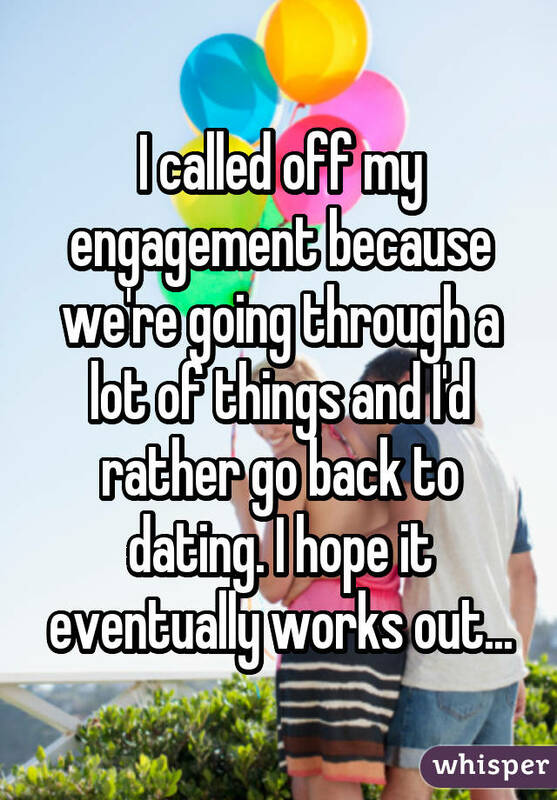 Recently, Whisper, the app that lets you anonymously reveal your secrets to the world, asked people to confess the real reasons they decided to call off their engagements. 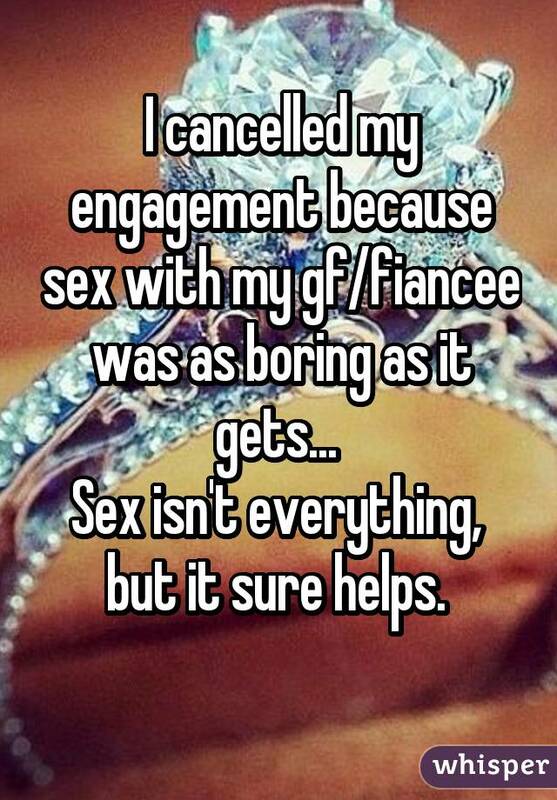 From lying and cheating to someone simply being really bad in bed, there are countless reasons people decided to throw in the towel and cancel their weddings. 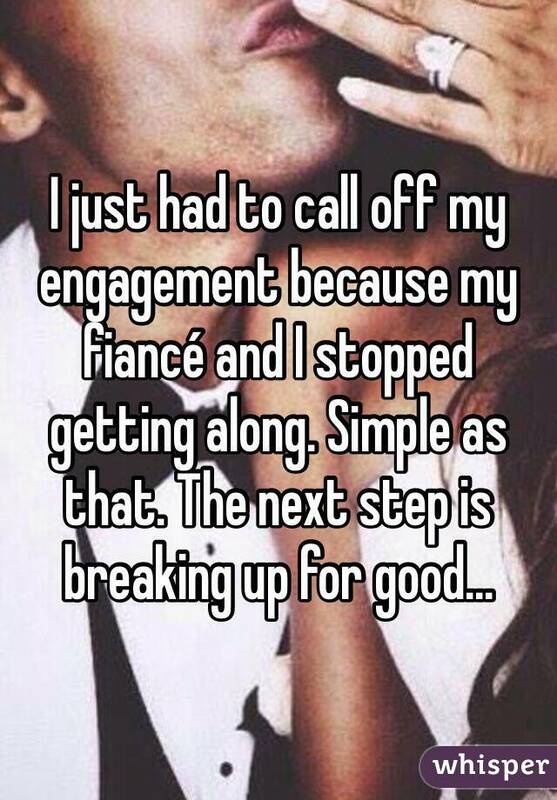 But hey, I guess returning the ring before the big day is better than ending your relationship with a divorce, right? 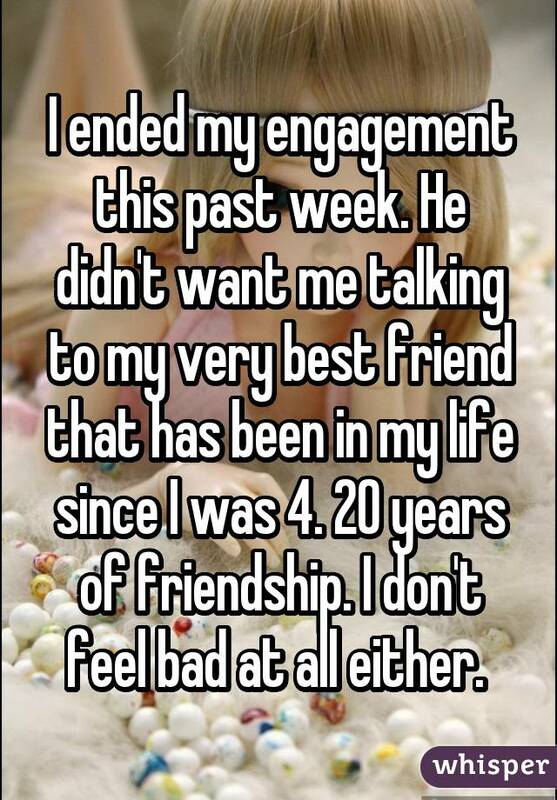 Take a look at the pictures below to see the reasons people called it quits. 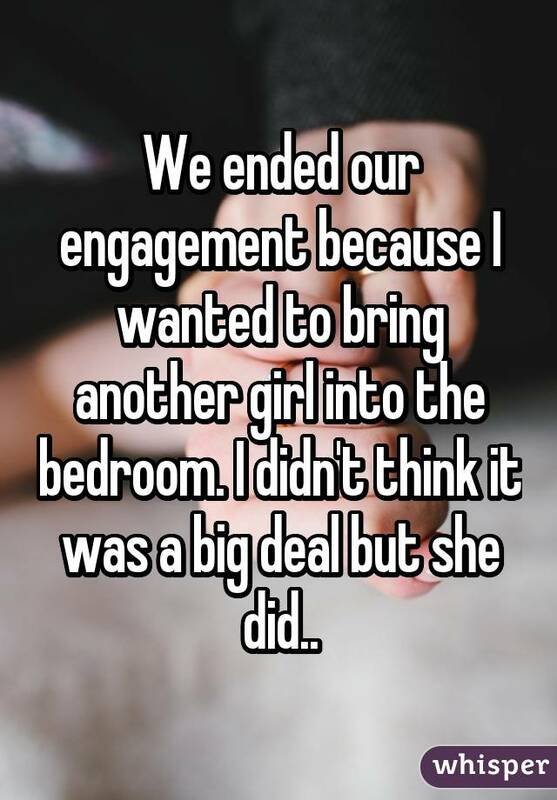 She was boring in the bedroom. Who wants to settle for just one? 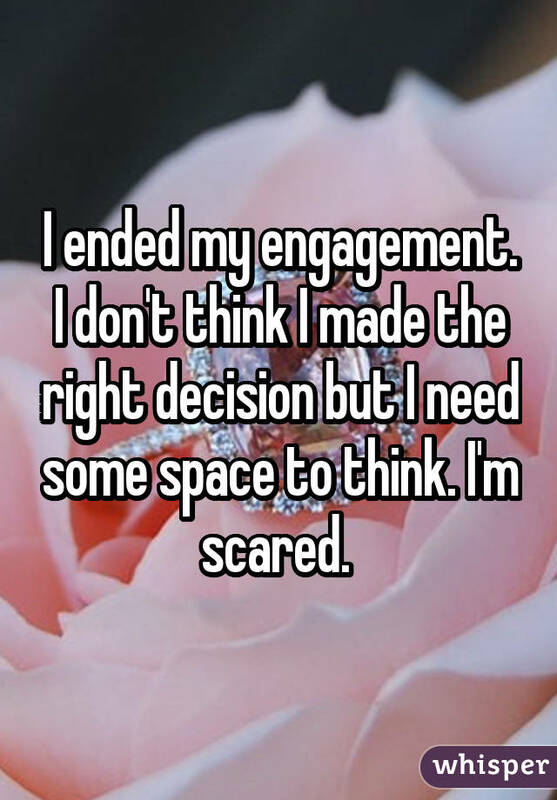 Marriage can be a scary thing. 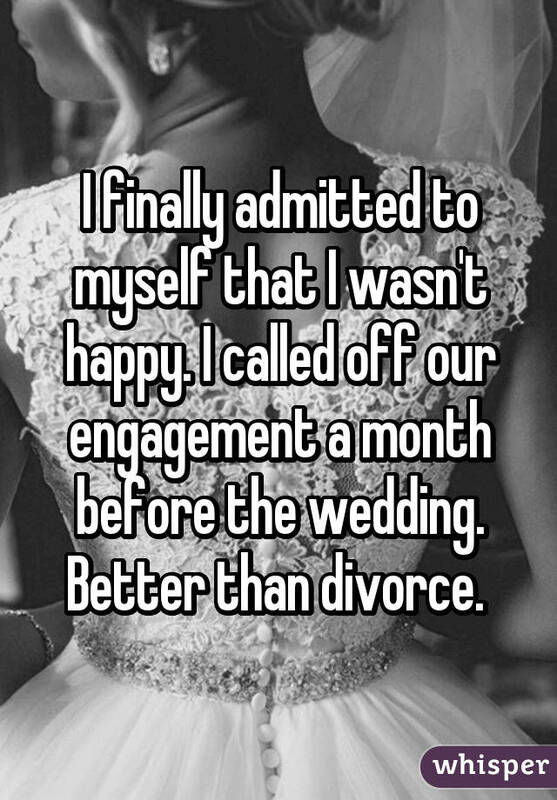 Calling it off is better than divorce. 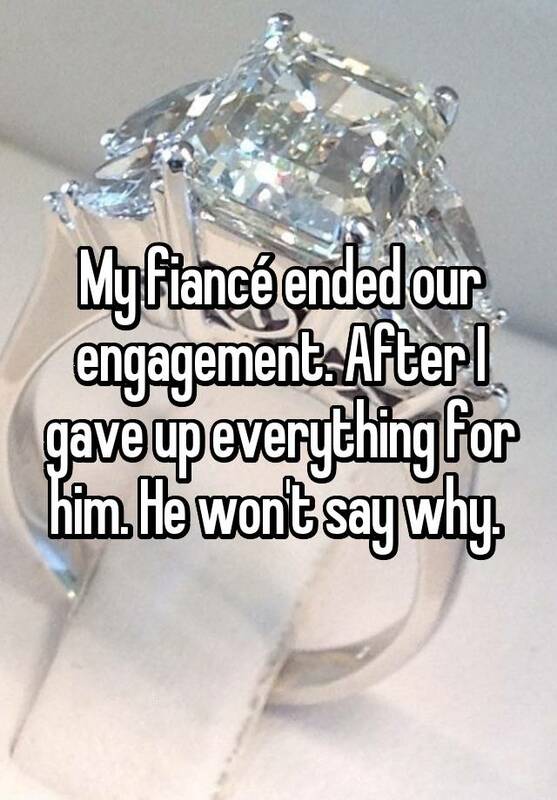 He wasn't ready to take the next step. 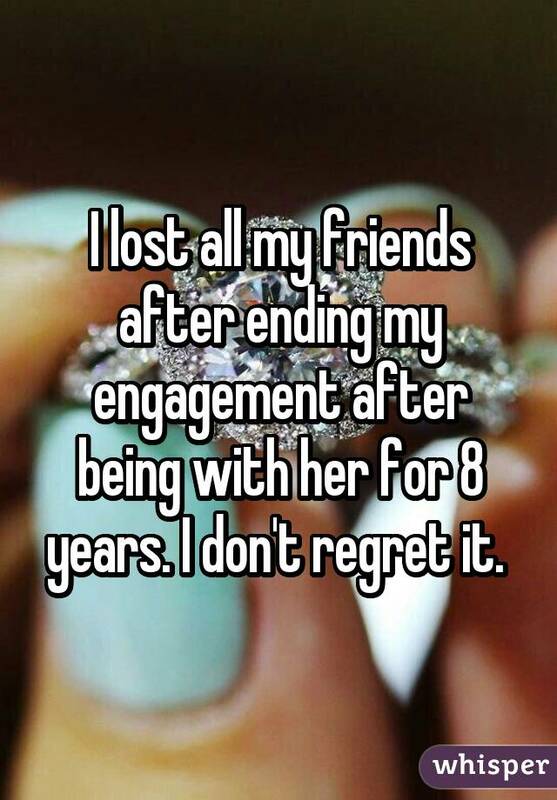 I lost my fiancée and all of my friends. 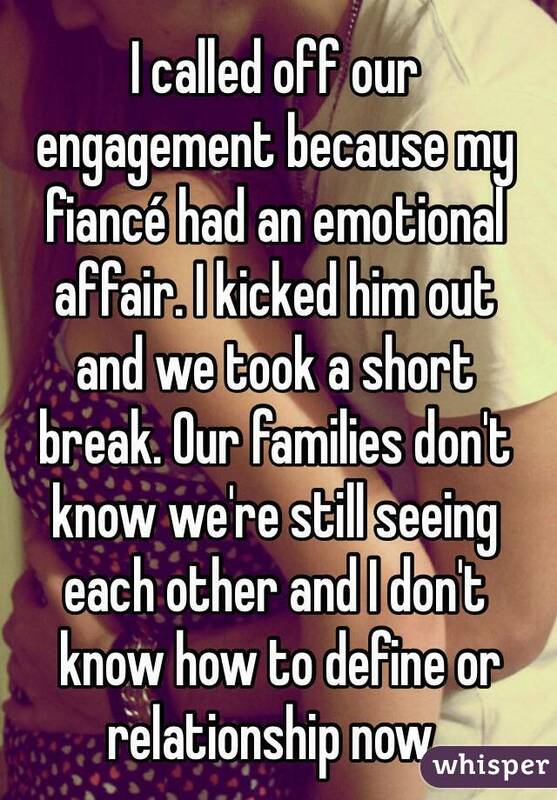 How can you marry someone you can't get along with? 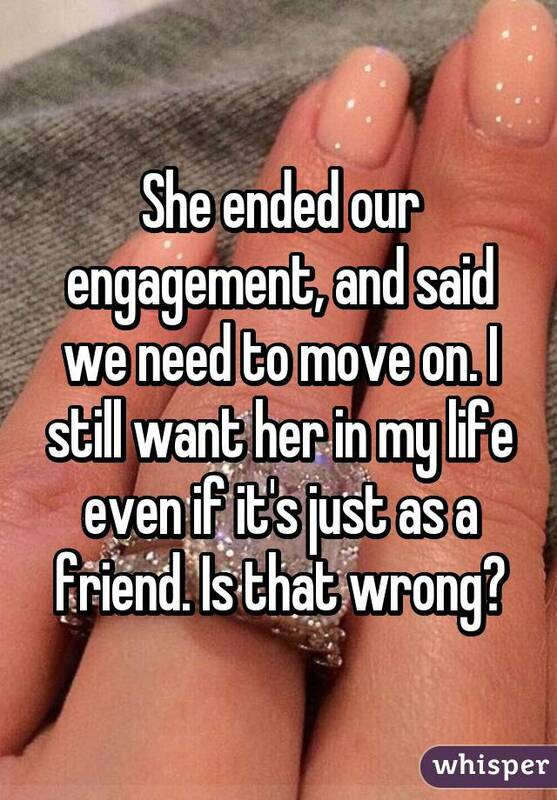 Sometimes, you just need to move on. 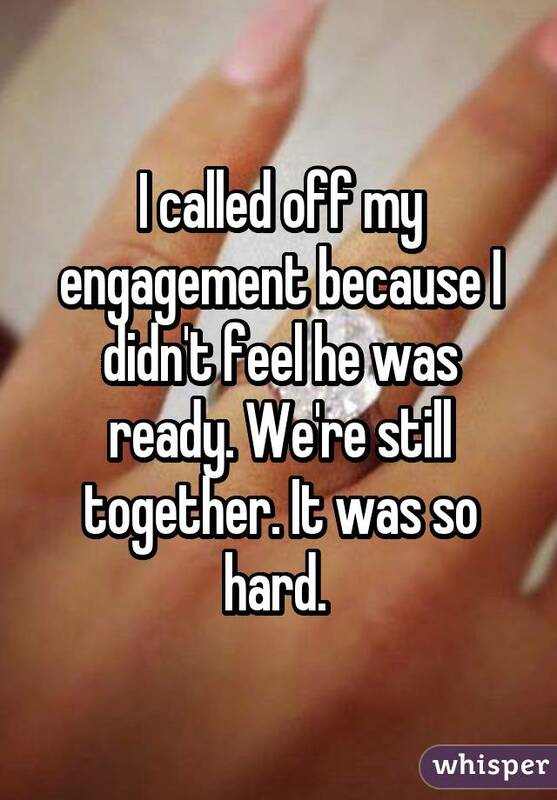 Getting married is like leaving the party at 9 pm. 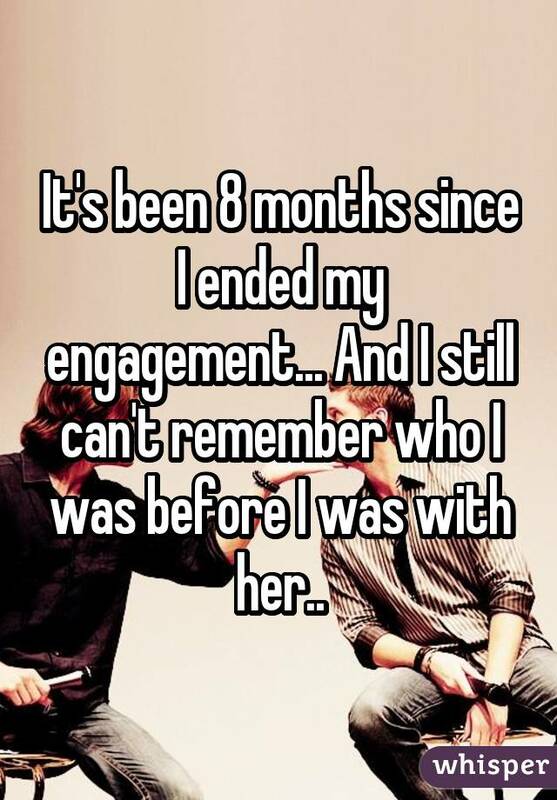 I can't even remember the person I used to be. He was lacking below the belt. 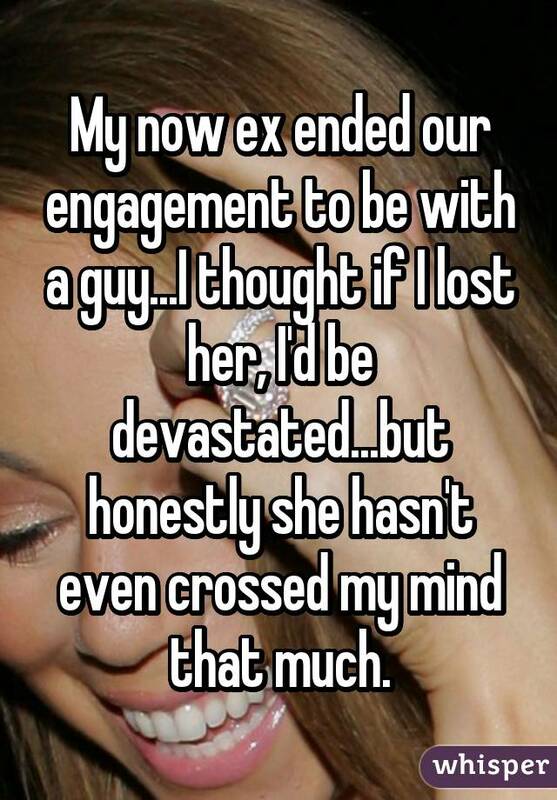 She wanted to be with a guy.